Hydraulic pumps, hydraulic motors, gasket sets, pressure switches, accumulators and many others Tsuji crane parts are available. 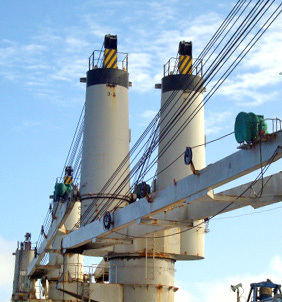 Engineers for ship and marine cranes are available Worldwide. Inspection, repairs, maintenance, prepare Cranes for overload test and annual survey and all other aspects.